A playful-sounding French Canadian children’s song arranged in swinging sing-song style for beginner piano. 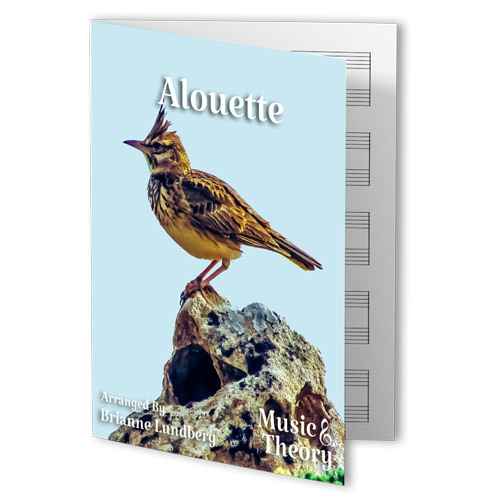 The melody in this arrangement occasionally hops back and forth from right hand to left hand, just like the subject of the song (the morning lark). 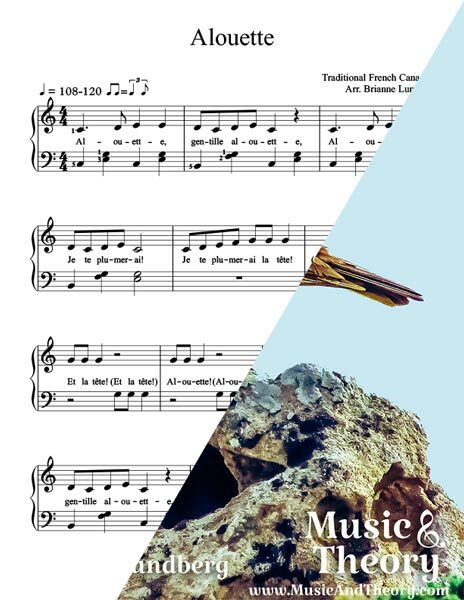 For non-French speakers, the lyrics speak of revenging oneself against the lark, who interrupts sleep and represents gossip, mistrust, and bad news! This arrangement comes in two different versions: one in C Major and one transposed to G Major. The Single-User License is available in either key. The Studio License comes with both versions.